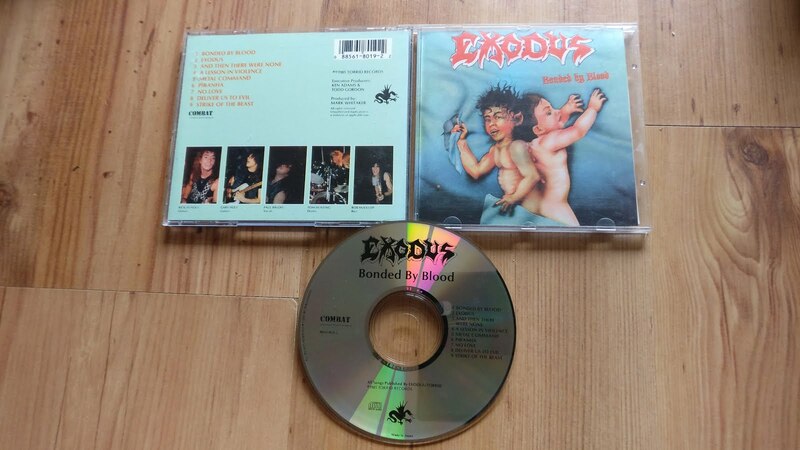 Exodus' seminal debut album here, which is still to this day a lynchpin of US thrash metal. This is an original of one of the very earliest pressings of it on Combat/Torrid Records. People are still banging their head against the stage to this, 32 years on from its release. That alone is testament to its top quality songwriting, frenetic playing and the much missed ball of charisma that was Paul Baloff. Upper echelons of thrash greatness right here.